Arthur M. Levy, 69, beloved husband of Linda nee Foreman Marks; loving father of Rick (Sarah), Jeff, David (Heather) and stepdad of Nicole (Danny) and Brad; adored Papa of Aidan, Anna, Declan, Bennett, Ellie, Olivia, Dylan, Emery and Layla; brother of Steve, Ira and the late Lois. 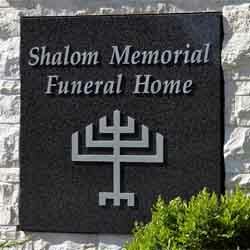 Chapel service, Monday 2:30 PM at Shalom Memorial Funeral Home, 1700 W. Rand Road, Arlington Heights. Interment Shalom Memorial Park. In lieu of flowers, memorial donations may be made to The Wounded Warrior Project or ASPCA. For information or to leave condolences, (847) 255-3520 or www.shalom2.com. The Kessel family, Alex, Sara, Chuck & Margie wish to express our condolences to Dave & Heather Levy & the entire Levy family on the loss of Arthur Levy. Our thoughts & prayers are with you at this time. After talking about family photos for years we had these taken last summer. May God remember the soul of Arthur M. Levy who has passed to eternal rest. O God, I pray that you will keep the soul of my dear______________ united with us in the bond of life. In his/her memory, guide me so that I will live righteously, fulfilling Your will and serving our people. May his/her soul rest in peace and be remembered as a blessing. O God, as I remember, Arthur M. Levy I pray that I may emulate all that was good and righteous in his/her life. May his/her soul be given eternal life and his/her memory always remain a comfort and source of inspiration. A link has been broken in the chain that has bound us together, yet strong bonds of home and love hold us each to the other and we give thanks for the blessing of life, of companionship, and of memory.